Donald Trump (1946 – ) is the 45th President of the US. For many years he was chairman and president of the Trump Organisation, which has a diverse range of business and real estate businesses. Trump also rose to prominence through his appearance in The Apprentice (U.S.) a reality tv show where contestants bid for the opportunity to head one of Trump’s companies. 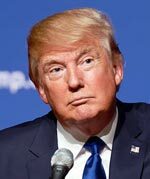 Donald Trump was born 14 June 1946, in Queens, New York to German immigrant parents. His father Fred Trump was a successful real estate developer. 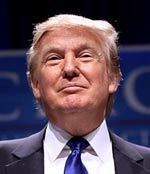 Donald attended the private Kew-Forest school, Fordham University and then the Wharton School of Business at the University of Pennsylvania, graduating in 1968 with a degree in economics. He was eligible for the Vietnam draft but received deferments for being a student, and later a medical deferment, attributed to heel spurs in both feet. After leaving university, he worked with his father in real estate development in Brooklyn, Queens and Staten Island. In the 1970s, with help from his father, he then moved to Manhattan, where Trump created the Trump Organisation. His business interests expanded, taking in hotels, casinos, Trump Shuttle airline and a mega-yacht. For Trump, the key attraction of his work was often in negotiating a deal. 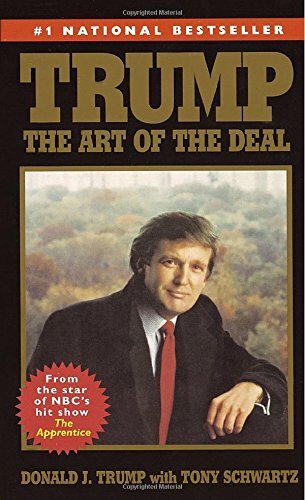 In 1991, losses from the Taj Mahal Casino forced Trump into bankruptcy, but he sold off parts of his business and was able to continue in business. A distinctive feature of Trump’s business and real estate ventures has been the prominent use of his own name. For example, Trump World Tower, Trump Place and Trump clothing ranges. Trump is also a keen golfer and has brought many golf courses across the world, including Ireland and Scotland. Many real estate property dealers and businesses have paid to license the Trump brand name. However, since his presidential election campaign of 2015 and 2016, many have sought to distance themselves from Trump’s controversial political views on Mexicans, women and Muslims. Retailers, such as Macy’s have dropped Trump-branded products. In 2012, Trump declared his own net worth at around $7 billion. In 2015, Forbes estimated his net worth at $4 billion. When running for Presidential candidate in 2015, Trump claimed a net worth in excess of ten billion dollars, though he said it can fluctuate with markets. Before the 2016 Presidential election, he refused to release his income tax returns – breaking with tradition. The New York Times released a tax return from 1995 which showed that Trump lost $916m in a single year and as a result could use tax laws to avoid paying federal taxes for 18 years, a charge he did not deny. From 1996 to 2015, Trump owned part of Miss Universe beauty pageants. Though Trump sold his interests in 2015, after a dispute over his presidential address on Mexican immigrants. Trump has had mixed political affiliations. He has been both a registered Democrat and Republican. He has given money to both Republican and Democratic presidential candidates. He was critical of both George Bush presidencies and said Bill Clinton was one of the best modern presidents. Since 2012, he has been in the Republican party and in 2015 announced his intention to seek the Republican candidacy. He also projected himself as a Washington outsider – from the private business sector rather than the political establishment, and a willingness to “tell it like it is” – with a willingness to be politically incorrect. Trump’s controversial policies include the suggested deportation of illegal immigrants in the US and the building of a wall between Mexico and the US. He has called for a ban on Muslims entering the US, and greater surveillance of mosques. On social issues he is conservative, declaring himself pro-life. He also is opposed to gun control and favours replacing the Affordable Care Act with a free market plan. He has called global warming a “total hoax created by the Chinese to make US manufacturing non-competitive.” He supports increased fracking and is opposed to wind power. Trump has been married three times. He has five children. Three with Zelnickova, and one with Maples and Knauss. Trump is a Presbyterian Protestant, though his church says he is not an active member. Trump has received the backing of many religious leaders in his presidential campaign. He has a high sense of self-esteem, which some have called ego-mania. Despite losing the popular vote by nearly 3 million, Trump won the electoral college 306 – 232, after securing the swing states, such as Florida, Michigan, Ohio and Pennsylvania. Trump took office on January 20, 2017. Among his first executive orders were an order to ban immigrants from Muslim countries, such as Syria and Iraq. He also sought to, unsuccessfully, repeal Obama Health Care and build a wall between US and Mexico. On foreign policy, he withdrew the US from the Paris Accord on global warming. Citation: Pettinger, Tejvan. 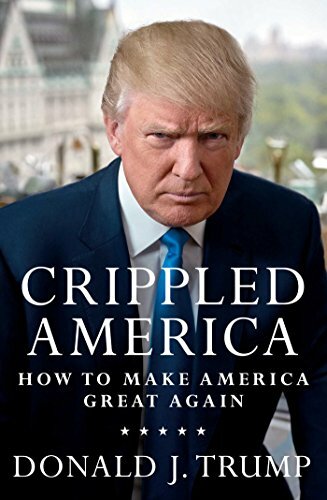 “Biography of Donald Trump”, Oxford, www.biographyonline.net 31 Jan. 2018.